Baron™ 440 is rated 4.4 out of 5 by 568. Rated 5 out of 5 by Texas Griller from LOVE my Broil King! I got my grill from Lowe's on sale for $450.00 with free delivery and setup at their Labor Day sale. It was about half the price of an equivalent Weber Genesis. 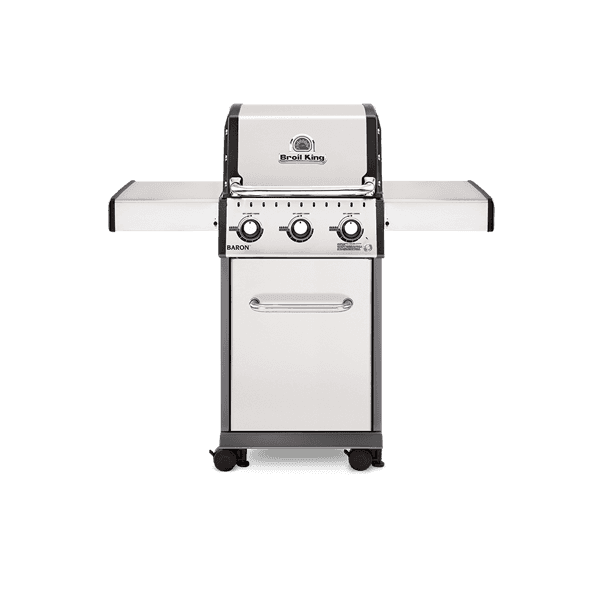 I did a lot of research on various brands of grills and saw lots of good reviews on the Broil King, so I decided to try one. My previous brill was a Charbroil and it wore out in about 4 or 5 years. So far, I am extremely satisfied! 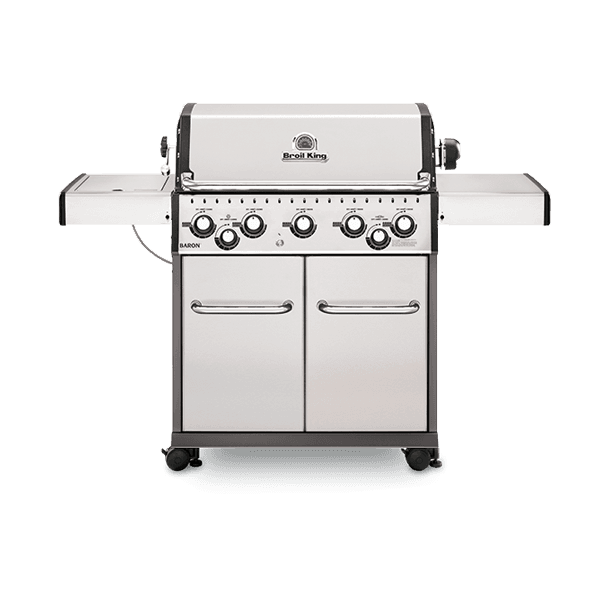 My Broil King Baron 440 heats to 600 degrees very quickly and the steaks, ribs, burgers, etc. that I have cooked so far in the month I have had it turned out Great! 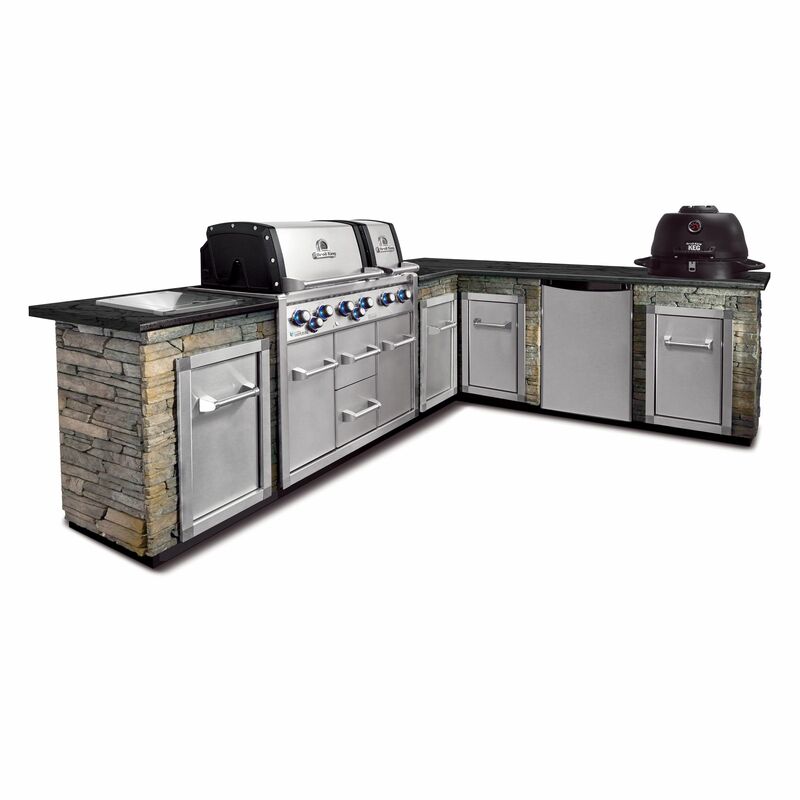 I would highly recommend this grill. I think it is a really good value for the money! 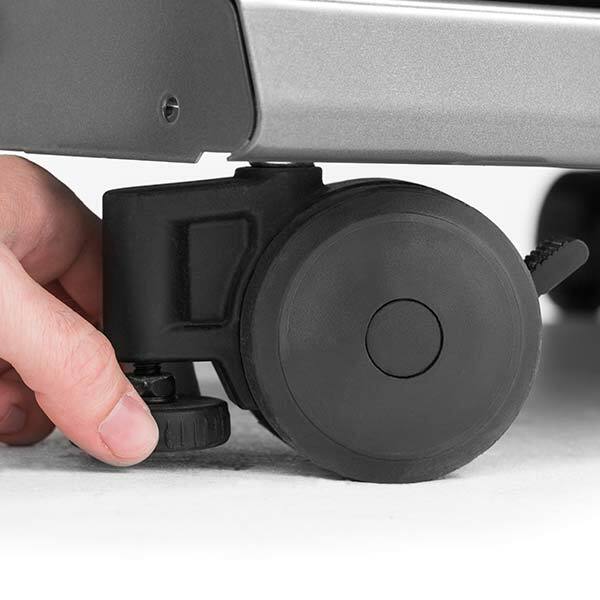 Rated 5 out of 5 by Michael P from Great Product I would recommend this to anyone. I also purchased the rotisserie set and made my first chicken on the grill. I have also fried fish and Freedom Fries on the outside burner. Only things I will change are the base and the drip pan. The sheet metal is flimsy and I am constantly rolling the grill in and out from underneath the eves. 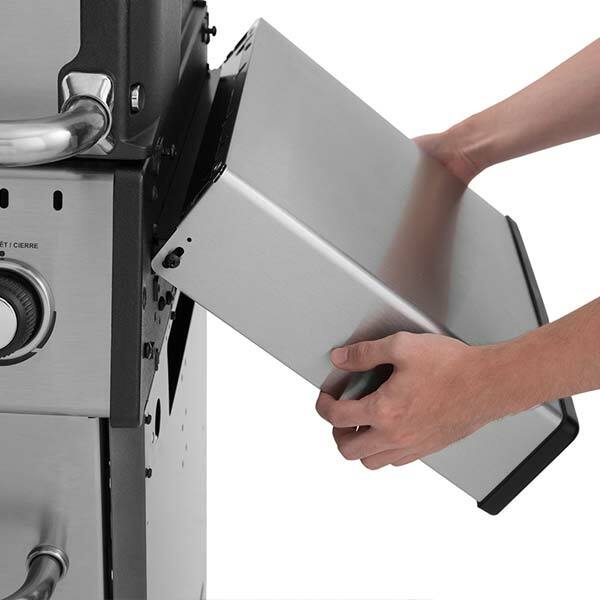 With the flimsiness, the doors will sometimes hang up on the inner edge of the upper side of the grill. The drip pan was not fully functional until I bent the tabs holding it in place. I had a messy greasy buildup in the cabinet because the grease was not draining properly. I will add some supports to fix this. 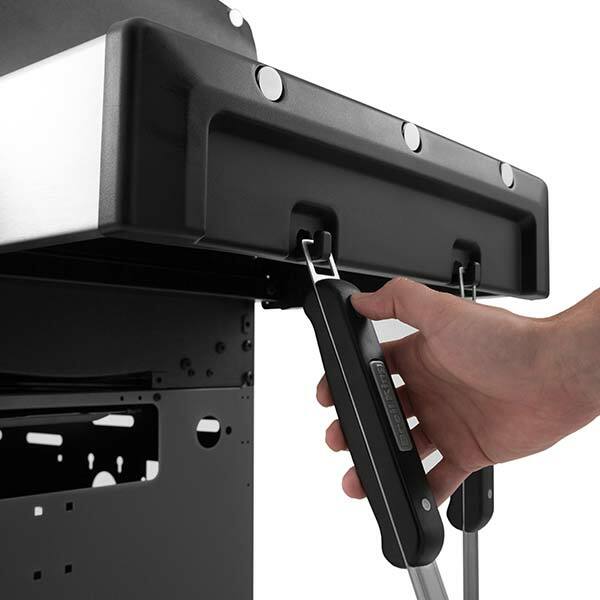 Rated 1 out of 5 by KYCase from Extreme Flare Up I had very high hopes for this grill. I done lots of research and thought this was going to be the best grill compared to a Weber. While the grill is very nice looking and seems very well built, the flare ups are horrible! I admit I have only cooked burgers, but they are the 80/20 variety. From the time I put them on, until I take them off, it flares up constantly. Not happy at all with that. I replaced a 12 year old CharBroil, and I never experienced the intensity of flare ups with it as I do the Broil King. I think it has to do with the pans that cover the burners. I had better luck with the tent type that was on the CharBroil. Any suggestions? Rated 4 out of 5 by KJ101085 from Great Grill. but has flaws I have had this grill for 2 1/2 years and it has been great with cooking food. My only big complaint is that the Cast Iron Grilling Grates have rusted out and have tried the restoration process numerous times with no luck. With that being said the flavor-wave that protects the burners have also completely rusted out. This is hard to comprehend as i also bought the cover for $70.00 to protect it from the elements. 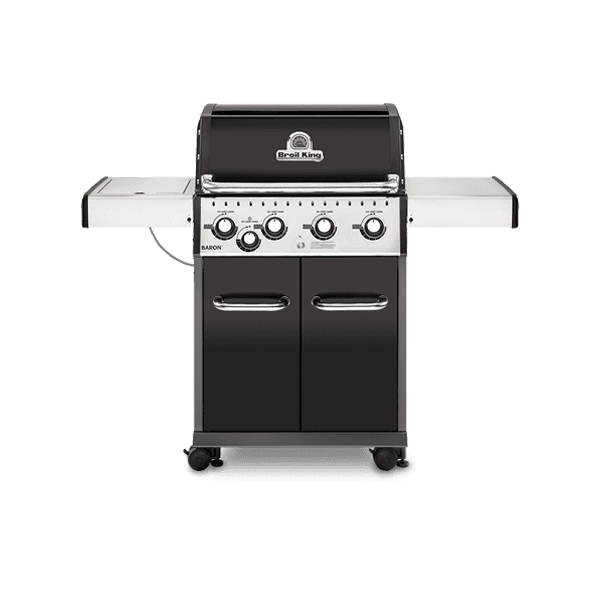 Overall, the grill is great but i did not think that i would have to be looking to replace it after a few years of use. I'm not sure i will be looking into another BroilKing with the price paid you would think you were getting better quality. 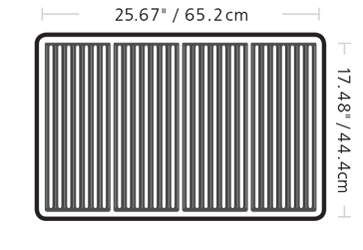 Rated 1 out of 5 by GLeach from Broil King - Baron 440 Ordered this grill from Airmiles.ca. If I would have read reviews I wouldn't have ordered it. Like other people we only used our grill for four months and the grills have already rusted. Contacted Onward Manufacturing Limited in Canada and said they wouldn't replace and to clean them with instructions other people received in complaint as well. Well cleaned initialing but after using again it shows rust again. How can you cook food on rusted grills. Totally dissatisfied with response from Onward Manufacturing. Don't buy this grill. Had a grill from Presidents Choice for 6 years and the grills never rusted. 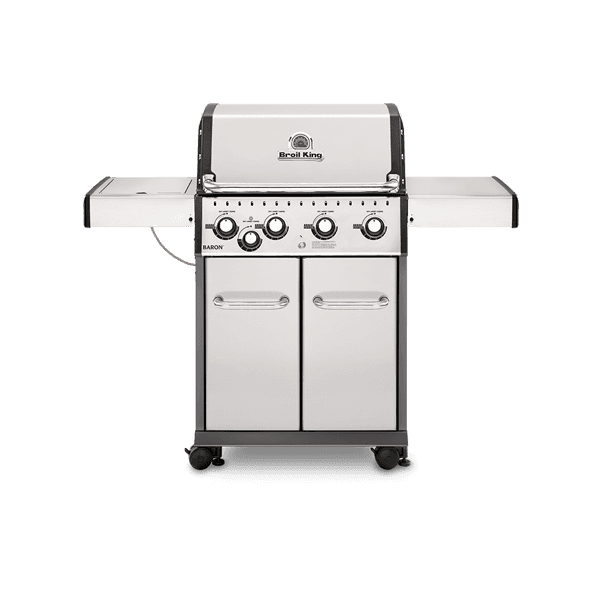 Rated 5 out of 5 by oldsalt from Wonderful Grill I have only had my new grill for about a month but really enjoy the quality and features that it has. I have been without a grill for several years and decided to start again. My research lead me to the Baron 440. 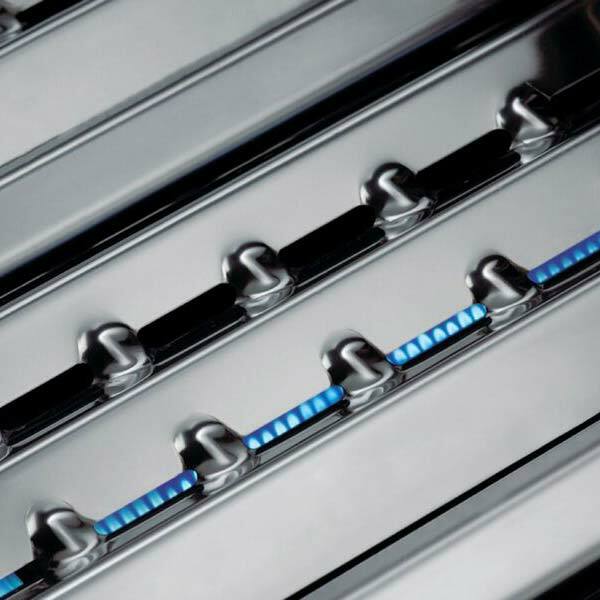 It cooks wonderfully and provides me with fantastic results, even cooking complex dishes. 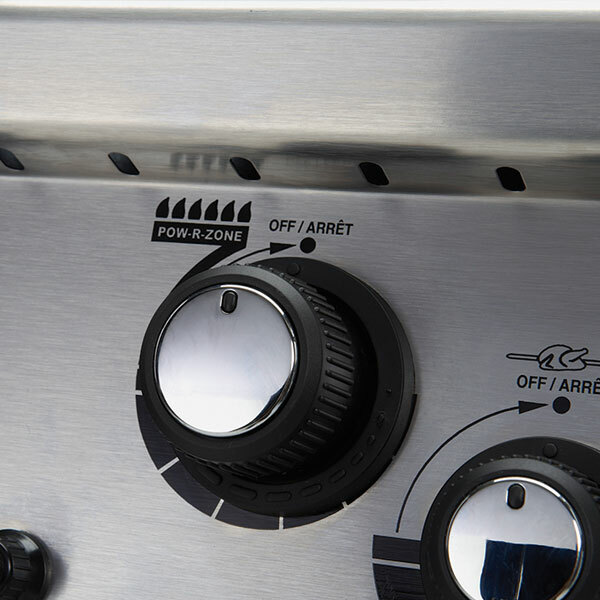 The grill cooks evenly on all the burners and having 4 burners provides multiple-zone cooking. My only suggestion for a change is to replace the diagonal stabilizer in the cabinet with one that is more perpendicular to improve the storage capacity (maybe make it a shelf). Thanks for making such a great quality product. Rated 5 out of 5 by tufunuf from Fantastic Grill! I bought the grill at Lowe's a month back. I am well pleased with the grill. It comes up to temperature quickly. It cooks evenly. The controls are easily accessible. 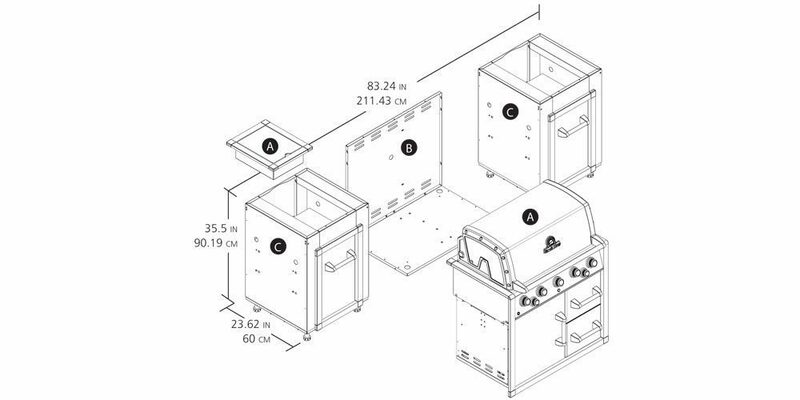 Te grill is well built, And, did I mention it is MADE IN THE USA! 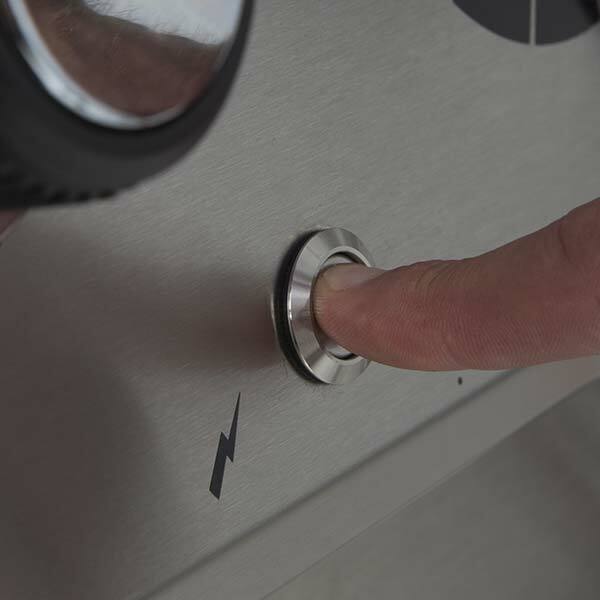 That is a plus in itself.The only thing I would add to this grill would be specific indicators on the heat range. The know shows dots as indicators, but it doesn't show High Medium Low. It's not a big thing once you figure it out, but it would be a plus to have that specific thing labeled.And, I did not find the answer in the manual. I called Broil King and they told me. By the way, their customer service is great too. Rated 3 out of 5 by Disappointed So Far from Good and not so good The good... I purchased this grill a few weeks ago (early summer) and have used it approx a dozen times. It gets hot quickly and cooks fairly evenly. 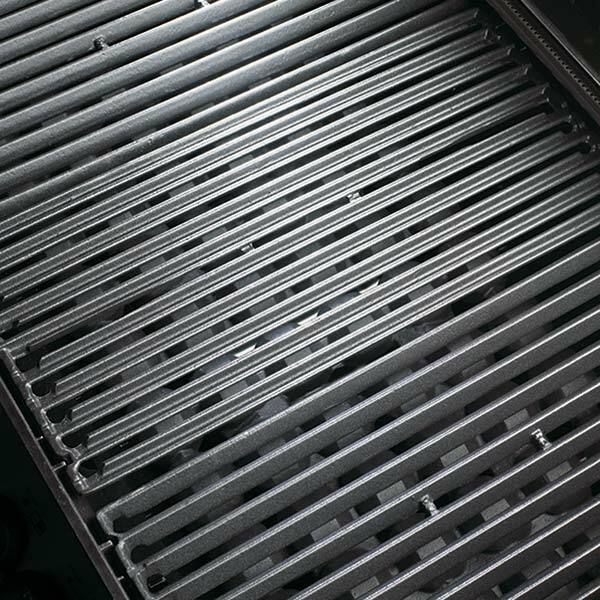 I like the design of the grates... they're heavy duty grade and sear meats nicely. Anything I BBQ'd on this grill so far has come out very tasty! 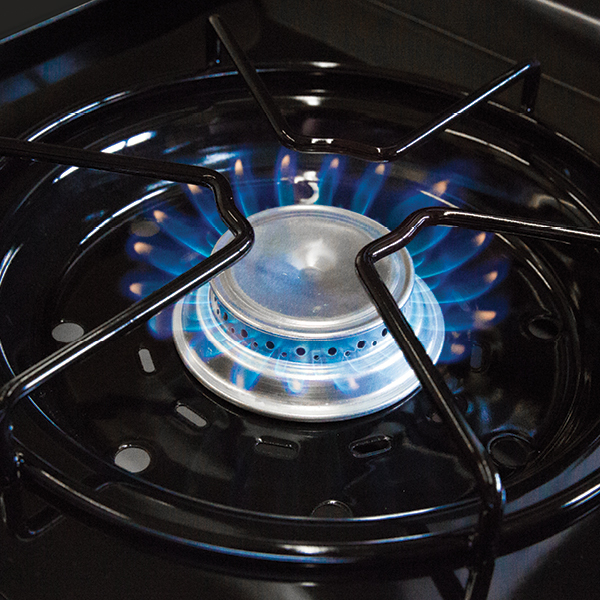 Flare ups are not too much of an issue even with the greasiest foods and marinades. Now the not so good... even though the grill has never been exposed to rain or significant moisture, the grates, the burners and the burner guards are rusting very rapidly. I brush the grill down after each use and never use water on any parts whatsoever. I even checked the vinyl cover and it's not leaking at all. I can only conclude that this is a defect in the metal composition. It will be interesting to see how the manufacturer responds when I request replacements parts.